Yesterday’s edition of the Times bears the news that on 25th September, the first day of the battle at Loos, Robert Rawlinson lost his life. “I can’t help feeling you would like to know exactly how poor Rob met his death. The regiment was ordered to support the 8th Devons, who were to lead the attack and Rob was detailed to go with them to keep up communications between them and ourselves. It was a difficult job to do and he was chosen by the Colonel because of his ‘coolness and bravery’ under fire. He went off very cheerfully, delighted at being selected. 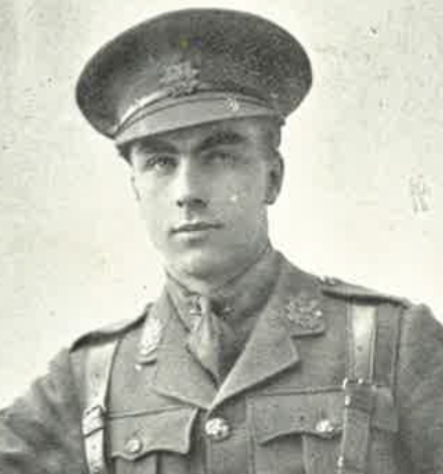 The attack started at 6.30 a.m. on the 25th and poor Rob was killed just before getting to the first German line trench. Also of interest in yesterday’s paper (although with no connection to the OPS) was the notification that Rudyard Kipling’s son John Kipling was wounded at Loos and is declared missing in action.